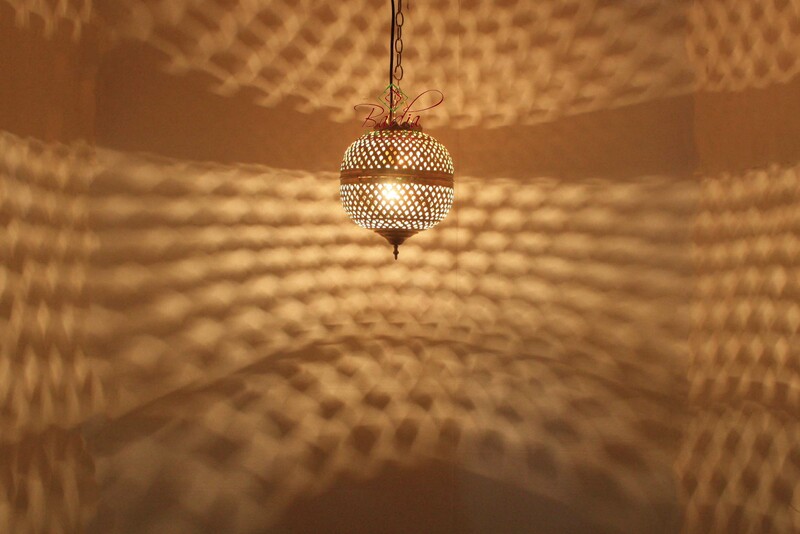 Moroccan Honeycomb Design Brass and Silver Lanterns from Badia Design Inc. There are three sizes listed, please choose the one you want to purchase. After clicking on the size you want to order, the total cost with shipping fee will be displayed. Hand Punched Moroccan Brass and Silver Ceiling Light Fixture with Traditional Moroccan Floral Patterns and Geometric Cutouts. A focal point for the entryways, rooms, bedrooms, bathrooms or empty corners. It adds a uniquely foreign touch to your home! Click the button below to add the Honeycomb Design Silver Lantern - LIG353 to your wish list.